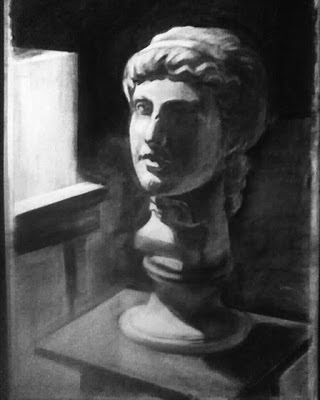 Vine charcoal on Rives BFK paper from plaster cast bust. If you know enough about paper to wonder "wait, isn't that printmaking paper?" Yes, it is and it's actually a stand in for the type of paper our teachers have requested we use: Arches Cover, another printmaking paper. 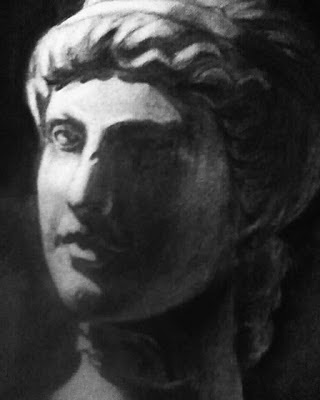 Why printmaking paper? The instructors claim they have superior qualities for holding charcoal, but I'm not convinced. yet.